Anna Casavant is a senior captain for the BFA-St. Albans alpine ski team. Casavant also participates in cross country and lacrosse. Beattie plays at least two sports every season, and still maintains an excellent GPA. Hunter Groff started dancing when he was five years old. He wanted to be part of a dance production his mother was putting on, and he was hooked on the sport right away. Rice Memorial sophomore distance runner Emily Bloom found her passion for running at a relatively young age, and sort of by accident. Burlington senior Elliot Maher has played hockey for as long as he can remember, and it shows. 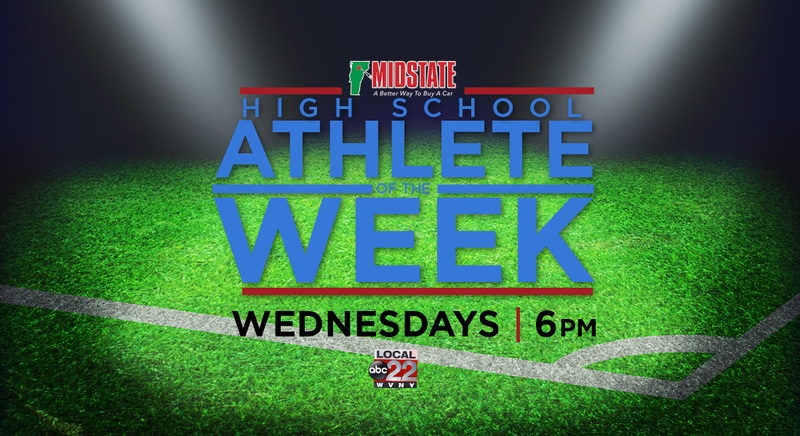 Nominate a High School Athlete of the Week through the below form or email aotw@mychamplainvalley.com with the athlete's name, school, grade, and sport. Your Email This field is mandatory. Athlete's Name This field is mandatory. Sport This field is mandatory. Position This field is mandatory. School This field is mandatory.